Driving a rig on the open road for trucking companies is a great job. When you need to find your next choice of trucking jobs from carriers hiring in Rhode Island, CDLjobs.com is the website for you. We offer truck driver jobs from the best companies in the business. You can choose which trucking jobs fit your experience and talent. When you have chosen the truck driver jobs you want, you can fill out our online application and submit it. The personal data you share is only provided to the trucking company or companies you have chosen to receive your information. All of our services are free for truck drivers. CDLjobs.com has the right opportunities available with the right trucking companies in the industry. Circle Logistics Inc is a 100% owner operator trucking company. Looking for a truck driving job without company driver competition? Apply today. The best truck driving jobs are with the United States Postal Service and they are hiring professional drivers right now! Click to learn more about the USPS and apply today. Guaranteed pay raise for all drivers after 90 days when you take a great truck driving job with VSS Transportation. Better opportunities for truck drivers through better pay and a trucking company who cares. Visit Western Express! Bellavance Trucking is looking for new drivers to join their Vermont-based family! If you are talented with a passion for superior customer service and someone who takes pride in his or her work, apply today. Owner Operators enjoy better opportunities with the 100% Owner Operator companies of Bennett Motor Express. Go to work with a family owned trucking company and put 20+ years of trucking experience to work for you. Grand USA Transport has been providing excellent service since 2012, Based out of Philadelphia, they've been linking producers and retailers across the nation. Apply today for Northeast United States based truck driving jobs at Grand USA Transport. The best flatbed trucking jobs can be found at Hunt Transportation. Top Pay Certified Carrier. High paying truck driving jobs with great freight lanes and late model equipment can be yours at McCain Transport. Join a 100% owner operator trucking company and enjoy light freight and the ability to earn $200,000+ annually when you join Overbye Transport. Truck driving jobs in the northeast that offer daily or weekly home time and the best pay in trucking. You cant lose with Paul Miller Trucking! Drive with Pride and 100% no touch freight. Read more about Pride Transport pay, CDL training, and hiring area. 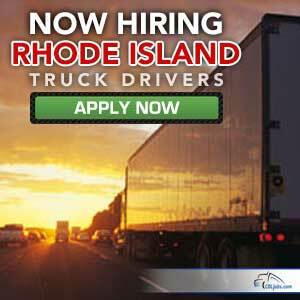 Apply today for a trucking job with Pride. Get a better trucking life with one of the many truck driving jobs at Quality Carriers. Drive for one of the most respected fleets on the road today. We offer a solid base of customers with year-round freight. Drivers get home every weekend or every other weekend depending on the division they choose. You can earn up to 60¢ per mile! The highest paying truck driving jobs in the Eastern United States can be found at Specialized Transport Solutions. Get one of the highest paying truck driving jobs and earn up to 60¢ per mile at Tradewinds!